Whether it’s a local job fair just across town or a big trade show on the other side of the country, every exhibitor with a table top display and an in-line booth longs to compete head-to-head with vendors in much larger exhibit spaces. Learn how to impress with less by incorporating the three Ds into your table top display booth. Can a table top display pack a punch as powerful as a custom modular exhibit? Yes, Grasshopper. In fact, just like the tiny little ant whose small stature is actually the reason for his incredible strength, your table top display can be optimized to out-muscle and outperform the larger displays of your competitors. The secret is in the execution. And that’s where the three Ds — design, differentiate, and drive — can help. With Table Top Displays, Less Is More. As the old trade show marketing adage goes, think of your display as a billboard, not a brochure. That means choosing graphic images for your table top display that are eye-catching, intriguing, and bright and crisp enough to grab the attention of passersby up to 30 feet away. Any text should be concise and minimal. Since table tops are smaller than freestanding back walls, graphic design real estate is at a premium. Ideally, all that’s needed is a single high-impact image combined with your logo and a prominent marketing tagline or branding slogan. If you feel you absolutely must include bulleted text, try to shorten each bullet-point to five words or less so that booth visitors can scan your message more quickly. When designing your table top graphic panel, choose a single eye-catching image to draw attention to your brand. Function Is Your Friend, Clutter Is Your Enemy. As any professional home organizer will tell you, getting rid of junk and non-essential items is the first step toward a happier living space. Similarly, your booth should be free of clutter and unnecessary distractions. Do You Want to Blend In or Stand Out? Against a sea of plain table skirts and ho-hum backdrops, sometimes all it takes to differentiate your booth from a nearby competitor’s is a few unusual details. For example, consider a curved or wavy-shaped display over the standard flat/straight model, a logo-imprinted table cover over an unprinted one, or an LED backlit pop up over a traditional pop up with clamp-on lights. Stand out from the crowd by utilizing unusually shaped display panels combined with logo-imprinted table covers. Also consider optional table top display add-ons like headers and side fins or attachable shelves and literature holders. Your trade show exhibit vendor can probably suggest additional ideas to make your booth unique so you can gain a visual edge over neighboring exhibitors. Display headers or side fins can reinforce your brand and differentiate your exhibit from competitors. Subtle Extras Make Your Display FEEL Different. How can one 10’x8’ booth “feel” so different from another? It’s the subtle little extras. Vinyl flooring feels different than carpet. Standard overhead venue lights feel different than freestanding floor lamps. And booths where everyone is standing elbow to elbow have a different feel than booths where people are seated in comfy lounge chairs or casually leaning against bar-height tables. Even in the smallest of trade show booths, these subtle extra touches can make a huge difference in the ambiance, energy and vibe that your booth transmits. Try making your booth a little more homey and inviting by adding trade show flooring and furnishings. The Buzz Begins Weeks Before the Show. If you give attendees a strong incentive to visit your booth, you’ll likely notice that they really don’t care what type of display you have. Just offering something unique that prospects need or want can be enough to drive foot traffic to your exhibit space, no matter how small that space might be. But the battle for attendee attention begins weeks — or even months — before the show. 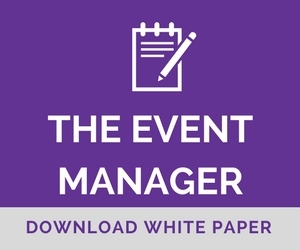 Using email marketing, social media and good old-fashioned print mailers, you should promote not only your presence (and possible sponsorship) at the show, but also any planned booth activities, such as contests or free giveaways, as well as mobile event apps and hashtags that attendees can use to network and connect. Lead Capture Tips for Small-Space Exhibits. Whether your trade show booth is large or small, there’s always a chance that your sales staff might get sidetracked and miss an opportunity to connect with a potentially qualified sales prospect. For these situations, tablet computers and iPads are your new best friends. Placed on a secure stand or attached to a kiosk, these little sales “assistants” work 24/7 and never need to take a coffee break. As noted above, the key is to promote the activity ahead of time and offer a reward or incentive to those who take the time to key in their contact details. Tablet or iPad stands can help collect leads when your sales team gets swamped. In addition, while there are lots of different types of salespeople, in a small-space exhibit it’s critical that you staff your booth with energetic, smiling, upbeat people who genuinely enjoy engaging with others. No one should be seen sitting or standing behind your table top display or appearing preoccupied with their handheld devices. If using your own in-house staff to man the booth, be sure to take some time to practice with your staff on how to approach attendees and engage in conversations to help qualify them as leads.